The Havana Leones (Lions) have a long history of excellence in the Cuban baseball League. 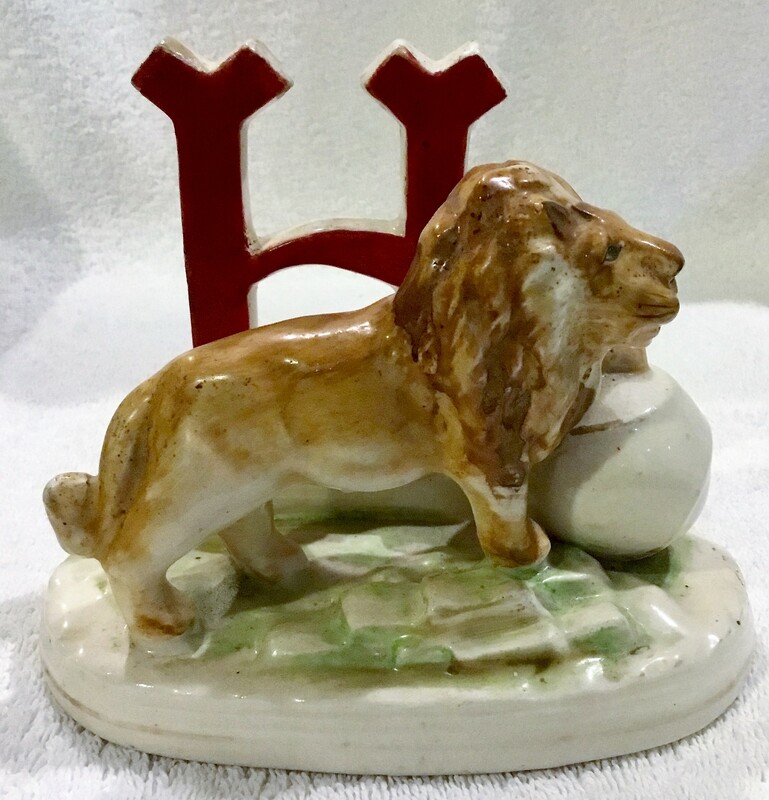 This mascot porcelain statue represents one of Cuba's most popular teams. 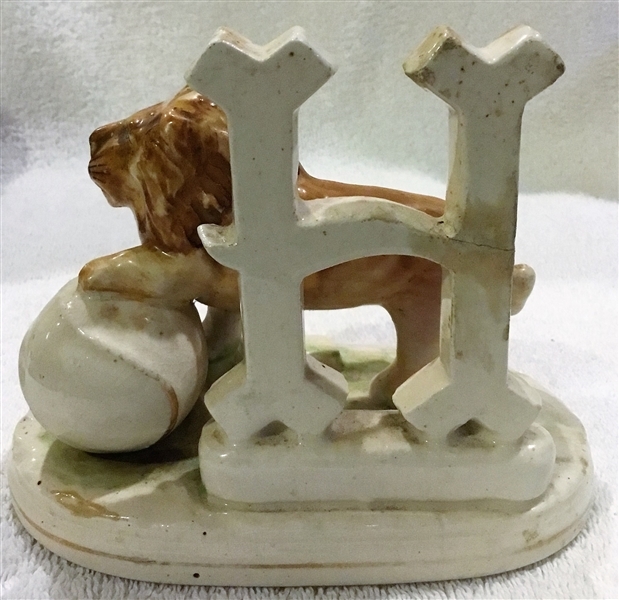 The lion is perched on a baseball with an "H" on the nack of the base. The artistry of this and other Cuban statues is evident on this great hand-painted statue. It stands about 4.5" tall. The "H" has a repaired crack, but this statue displays beautifully. A must-have in any figural sports collection.